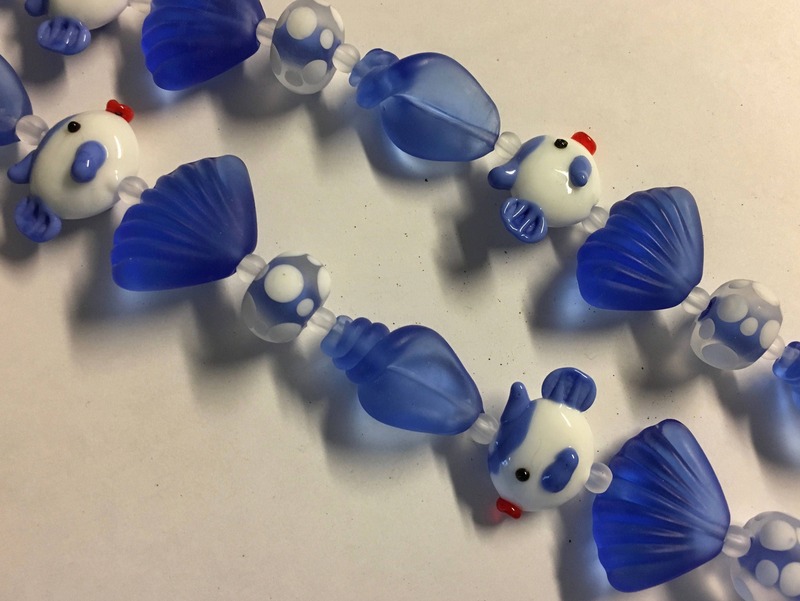 An 8 inch strand with approximately 2 - 17x25mm fish, 2 - 20x27mm matte scallop shells, 2 - 10x15mm matte dotted rondelles, 3 - 17x30mm matte conch shells per strand. Mix and match these to make gorgeous jewelry for the beach! 9 beads per strand with transparent glass spacers in between.